I have found a niche! After typing into Google”Best muesli Melbourne” and then down-playing my expectations to simply: “Good Muesli Melbourne” (catch phrase or new cool greeting potential?! ), I was not met with a flurry of pages dedicated to my favourite breakfast. Indeed, I was disappointed not to have someone tell me where to go to get my grainy fix. And so begins my taking the reins, boldly going where lots of people have probably gone before but not really documented to my knowledge, and putting my thoughts about muesli onto the internet! Before the main event, I would like to make my motivations clear: I love cereal. If cafes sold Weet-Bix I would be writing about Weet-bix, but most places do not consider them fit to make all fancy so I guess I’ll stick to the second greatest cereal – Muesli. I’m never going to be a menu writer, that was just the ingredients listed, and not even all of them. Here is a picture! First bite: Tart yogurt gives way to crunchy pistachio and muesli flakes. It is cool (temperature wise…and probably looks-wise too, what’s cooler than ordering muesli?). Rest: They give you a really generous serving of muesli here, which I’m all for. The thing that really strikes me about this dish is the grated apple. It is strewn throughout the yoghurt infusing every bite with a fresh crunchiness that made my tongue, teeth and palate very happy. My brain was also pretty happy at this point.The show ponies of the breakfast fruit world – strawberries – should get a mention here; Milkwood used lovely cold, fresh-tasting strawberries that were cut up so I didn’t have to deal with having a whole strawberry in my mouth at any one time, nor the stalks I suppose more importantly! Finally, the good people of Milkwood drizzle honey on the surface of the bowl. This resulted in the muesli become sweeter as the end of the dish was nearing, creating a sense of breakfast and breakfast-dessert all in one! Admittedly I did find it a bit too sweet toward the end, but I am too cheap to go and get the fillings I probably need so I’ll deal with the slight irritation overly sugary things cause my exposed dentine. 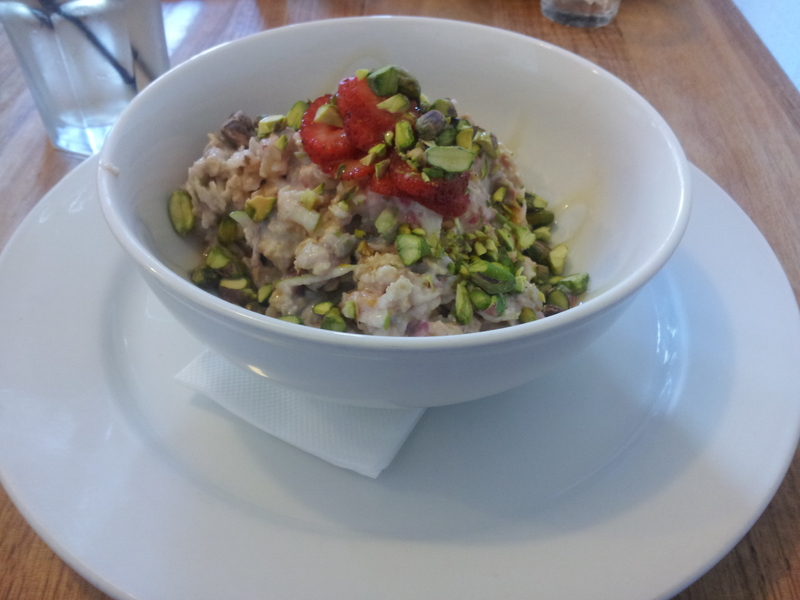 Overall Recommendation: Definitely order and then eat this muesli!